Il a volé la première fois en mars 1938. Il a été largement utilisé lors de la Bataille d'Angleterre. 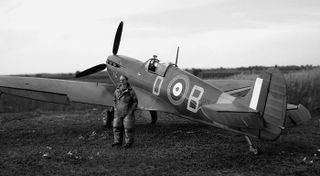 The Spitfire I is an excellent hybrid aircraft. With the ability to use both BnZ and TnB tactics, it can counter most threats easily. 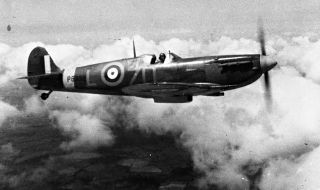 It's widely suggested to equip 8 Browning machine guns on the Spitfire I, as the increased manoeuvrability for the tier more than counters the loss of firepower. 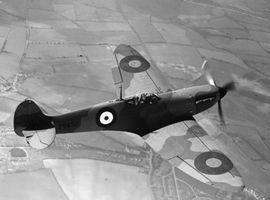 Remember however this is not a purely BnZ aircraft, and requires the support of allied aircraft to win a aerial engagement. 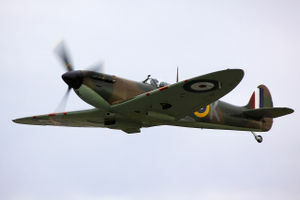 However it is very simple to compliment and support BnZ aircraft in their roles while flying the spitfire I.